Is inflation accelerating or decelerating? It depends on where you look. The inflation story differs tremendously depending on whether you look at goods or service inflation. Goods inflation is very low and stable–the producer prices for finished goods less food and energy are rising at only 1% per year. 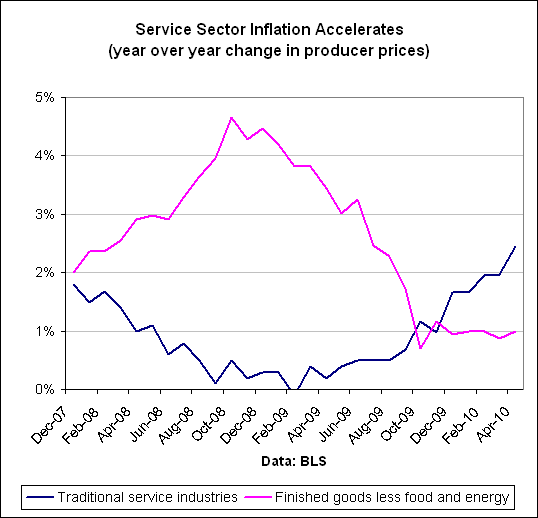 By comparison, service sector inflation is accelerating. Over the last few years, the Bureau of Labor Statistics has started reporting producer prices for what it calls “traditional service industries.” These include such services as healthcare, finance, information services, legal, accounting, management consulting, security guards, employment services, janitors, advertising, and so forth and so on. Many of these services are mainly bought by businesses, so they don’t show up in the CPI. They also tend to be labor intensive and more domestic. Which one of these should the Fed be watching? 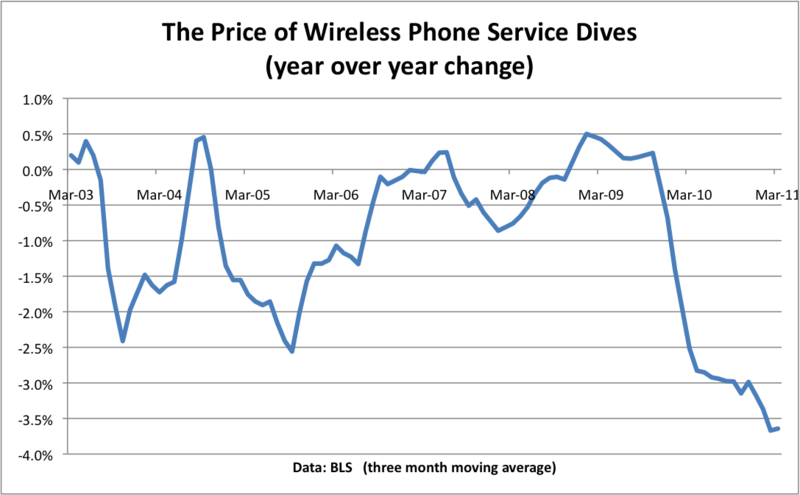 I’d say that service sector inflation may turn out to be a better indicator of domestic price pressures.